Second to my love for London, is my love for afternoon tea! I realize its origins are from “Royalty and High society” but its now become a great way to get together and catch up among friends, which is exactly what my friends and I like to do….only problem, there’s not a lot of great places to do that in Toronto. 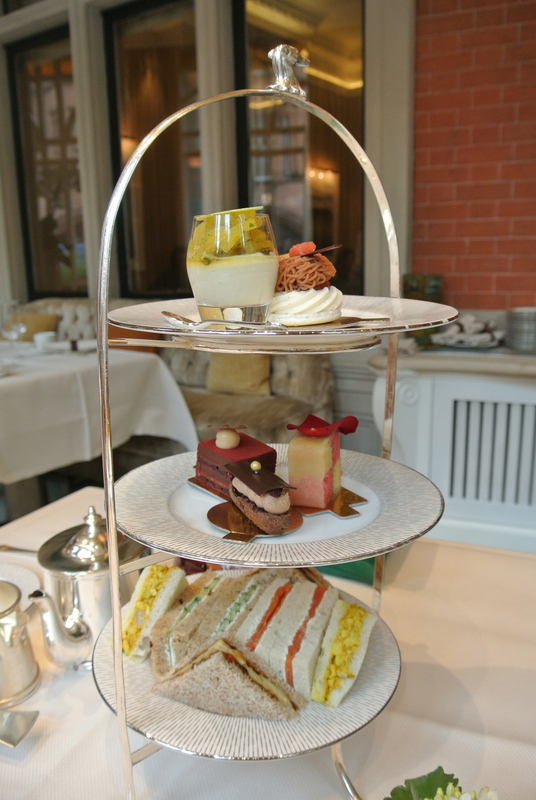 So whenever I travel to London, I try to at least get one afternoon tea in if not two. 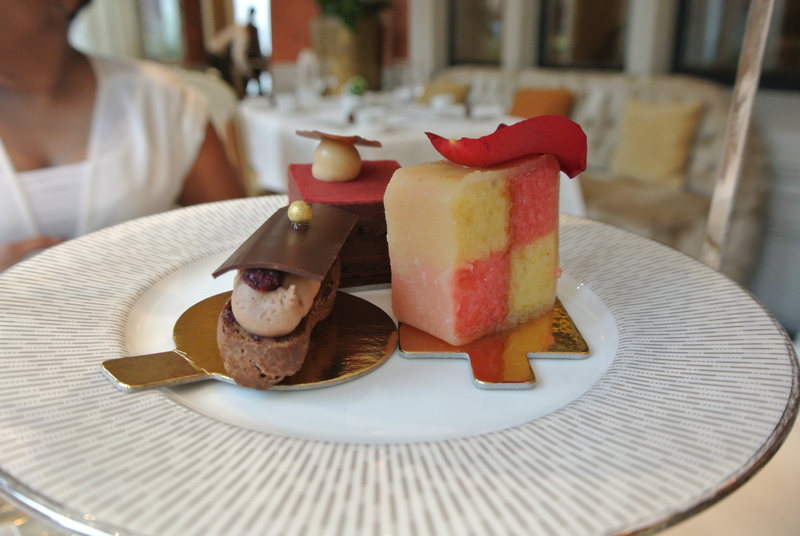 I found out about the Connaught Hotel after looking at my friend M’s instagram photos of having afternoon tea there. Everything looked so delicious I just had to go. I usually like to stick with traditional teas so I had the Royal Connaught Afternoon blend, a black tea. 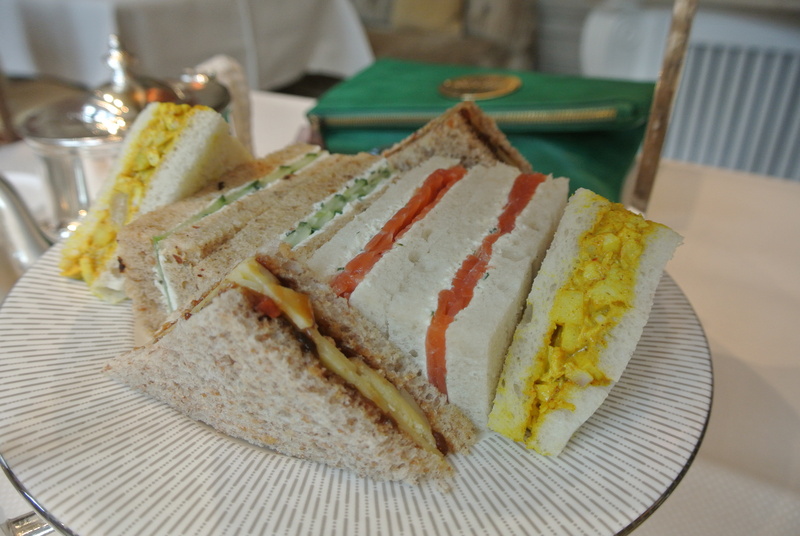 The tea was good but what I remember clearly is how delicious their Coronation chicken sandwich was! It was my first time having the chicken salad sandwich and the mild curry flavour, the creamy mayonnaise with a touch of sweetness – it was tasty! There was no shortness of food here, after the sandwiches and pastries out came the scones (raisin and plain) and then a final plate of cakes (green tea and chestnut and chocolate spicy hazelnut). So much to eat, I highly recommend going on any empty stomach! 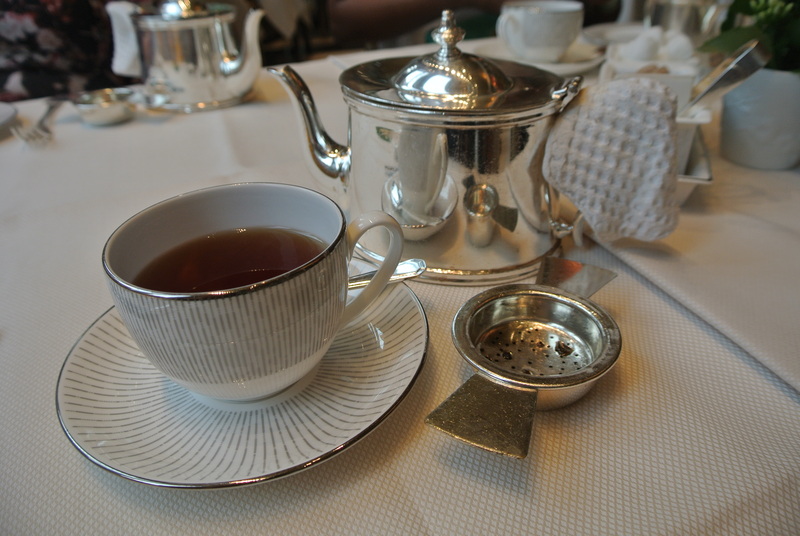 The black tea blend called – Royal Connaught Afternoon Tea. The three tier tower of goodness. 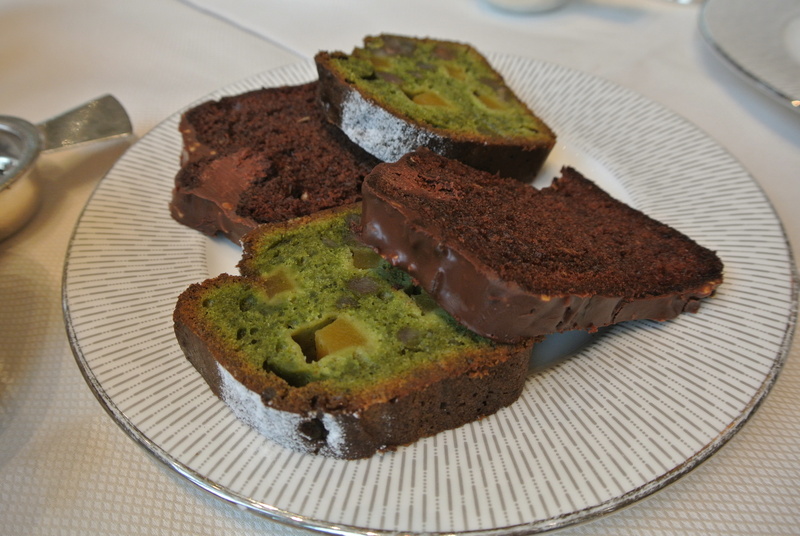 First tier of pastries – battenberg cake a la rose, b3 eclair and peanut temptation. 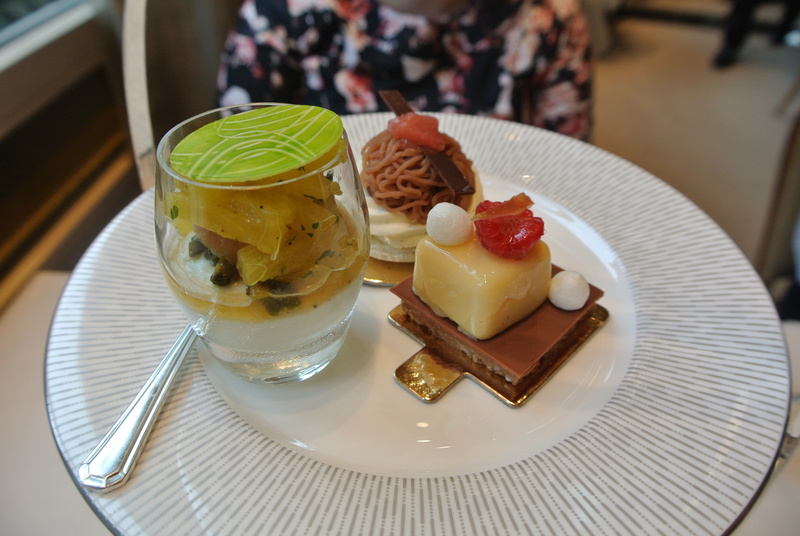 Second tier of pastries – mac Blanc, lemon meringue tart and exotic baba. 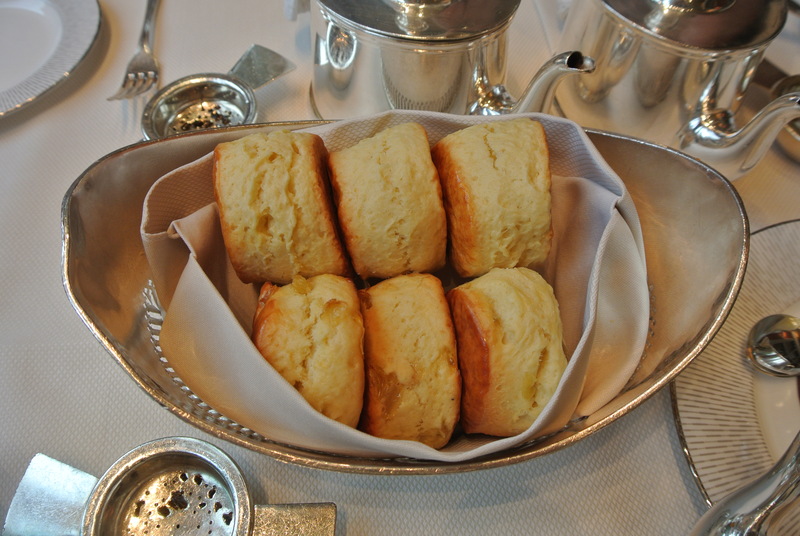 Plain and golden raisin scones. 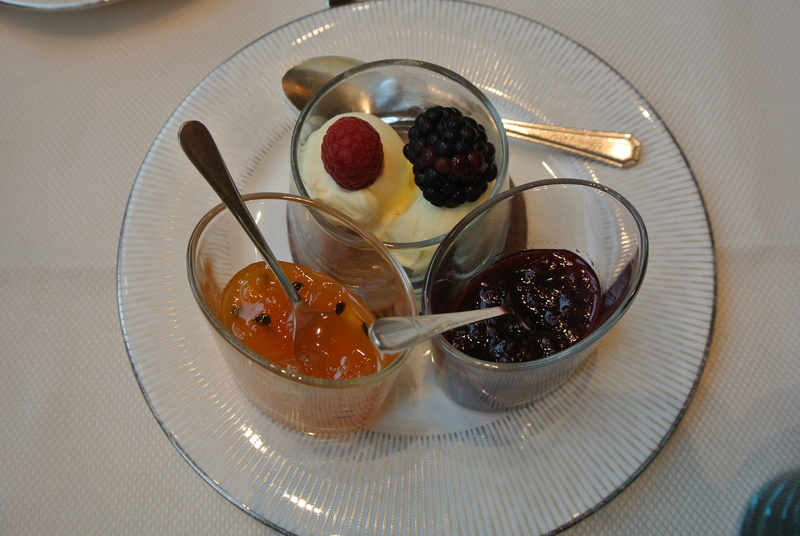 Clotted cream and homemade preserves – mango passionfruit and mirabelle and Gewurtztraminer. 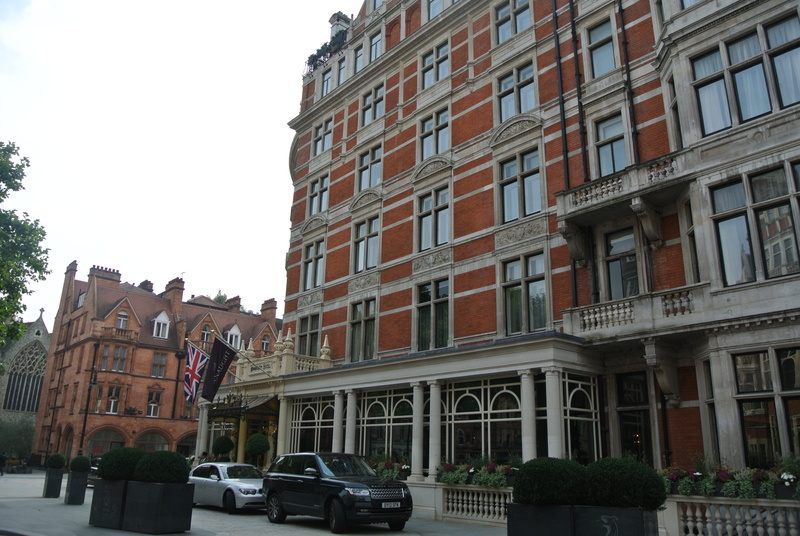 Connaught Hotel located in Mayfair. 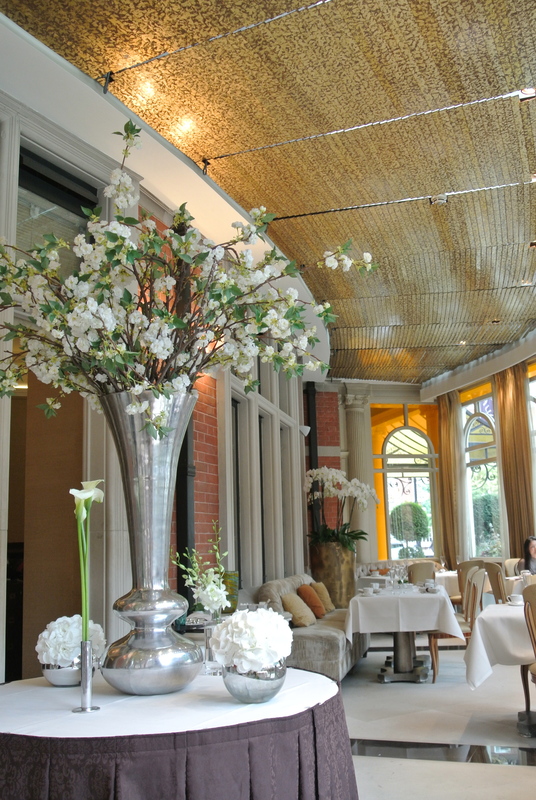 The espelette restaurant inside Connaught Hotel. WOW!!! This place is beautiful!